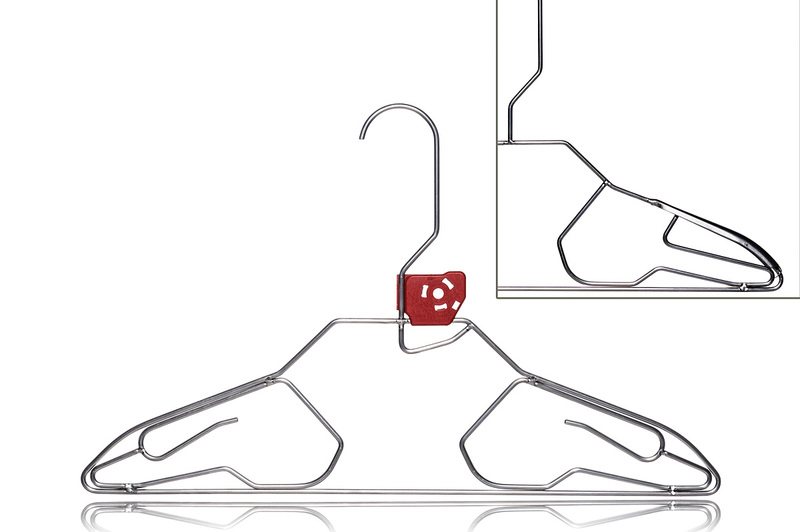 Stainless steel hanger 4mm, with clamping and hanging function. (reinforced hook) Shoulder pads made of stainless steel 16mm wide, fixed on the hanger. Barcode holder H-44-K-J.